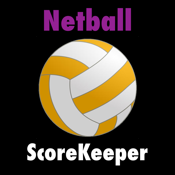 ScoreKeeper Netball is the easiest way to keep score of a Netball Game. Easy to use interface and game history log enable you to keep details of all games played. Simply enter the Team Names, game date and you are ready to score. Once the game is finished, results will be saved to the Game History Log which you can access via the main menu and review all games saved.